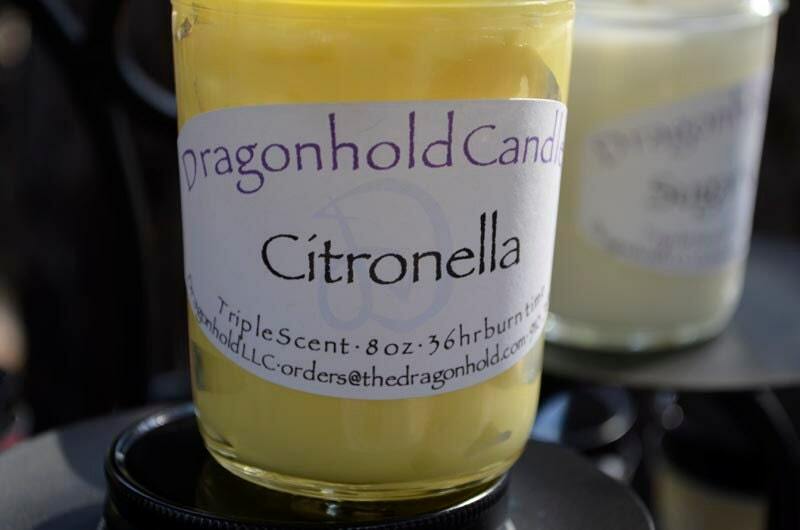 Citronella: Citronella is a natural insect repellent. This candle is made with fragrance oil infused with the oil of the citronella plant. The classic scent combines a top end of green citrus with a bottom end of fresh and clean camphor. The sharp and unmistakable scent offers a lemony repellent that can be outside or inside for your enjoyment. Yellow in color.